Worldwide crude oil prices will average $65 a barrel in 2019 and $62/b in 2020. That's according to the Short-term Energy Outlook by the U.S. Energy Information Administration. On December 7, 2018, OPEC agreed to cut 1.2 million barrels per day from the October levels. Members would cut 800,000 barrels per day and allies would cut 400,000 barrels per day. Cuts would continue for six months. OPEC's goal is to return prices to $70 a barrel by early fall 2019. There are two grades of crude oil that are benchmarks for other oil prices. West Texas Intermediate comes from the United States and is the benchmark for U.S. oil prices. Brent North Sea oil comes from Northwest Europe and is the benchmark for global oil prices. The price of a barrel of WTI oil was $9/b lower than Brent prices due to U.S. oversupply. The EIA expects WTI oil will only be $4/b lower by the end of 2019 as U.S. supply stabilizes. In December 2015, the difference was just $2/b. That was right after Congress removed the 40-year ban on U.S. oil exports. U.S. oil prices are recovering from a bear market. The price of a barrel of WTI oil averaged $66/b in March. It's $2/b higher than in February. But it's still lower than the four-year high of $81.20/b on September 24, 2018. At that time, commodities traders believed that U.S. sanctions against Iran and outages in Venezuela would lead to supply shortages. U.S. oil production has increased to a record 12.1 million barrels a day. That meets around 60% of domestic demand of 19.96 million barrels per day, according to the EIA. As a result, the United States became the world’s largest crude-oil producer, according to the EIA. The U.S. oil industry has found the right balance. It has increased the supply slowly enough to maintain prices that pay for exploration costs. The EIA expects that the United States will be a net exporter by the end of 2019. Oil prices have been volatile thanks to swings in supply. On May 10, 2018, prices rose to a record of $80/b. That occurred two days after the United States pulled out of the Iran nuclear agreement and reinstated sanctions. Global oil prices had fallen to a 13-year low of $26.55/b on January 20, 2016. Six months before that, prices had averaged $60/b. A year earlier in June 2014, they had averaged $100.26/b. Today's oil price fluctuates due to these constantly changing conditions. Oil prices used to have a predictable seasonal swing. They spiked in the spring, as oil traders anticipated high demand for summer vacation driving. Once demand peaked, prices dropped in the fall and winter. So why are oil prices no longer as predictable? The oil industry has changed in four fundamental ways. First, U.S. production of shale oil and alternative fuels, such as ethanol, began increasing in 2015. The EIA estimated that U.S. fuel production averaged 11.5 million b/d in November 2018. It beat the previous U.S. record of 9.6 million b/d set in 1970. Production averaged 9.4 million b/d in 2017, and 10.9 million b/d in 2018. The average will rise to a record of 12.3 million b/d in 2019 and 13 million b/d in 2020. At the same time, massive oil wells in the Gulf of Mexico began producing in large quantities. They couldn't stop production regardless of low oil prices. As a result, large traditional oil enterprises stopped exploring new reserves. These companies include ExxonMobil, BP, Chevron, and Royal Dutch Shell. It was cheaper for them to buy out shale oil companies. 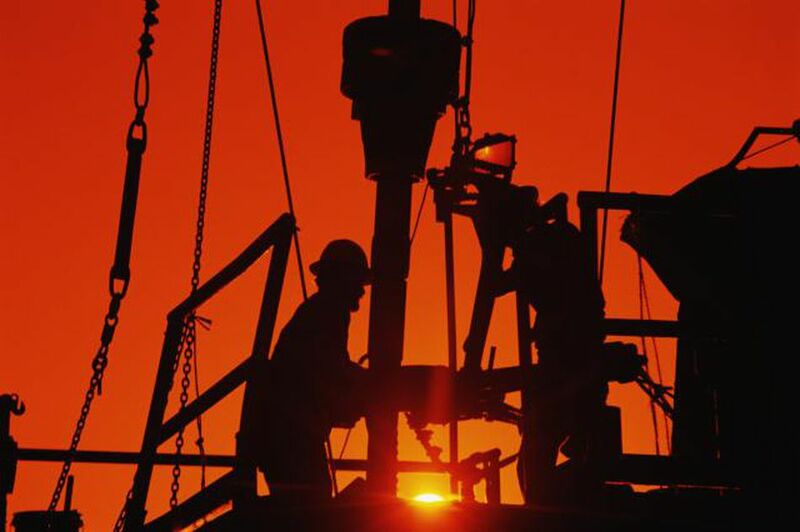 In 2019, production from West Texas will increase by 2 million barrels a day. U.S. companies have drilled 114,000 wells, many of which are profitable at $30 a barrel. Second, OPEC has not been willing to cut output enough to put a floor under prices. Members don't want to lose market share to U.S. companies. Throughout its history, OPEC controlled production to maintain a $70/b price target. Increased U.S. supply means it no longer has the clout to do this. OPEC first agreed to cut production on November 30, 2016. It cut production by 1.2 million b/d beginning in January 2017. Prices began rising right after the OPEC announcement. OPEC's cuts lowered production to 32.5 million b/d. That's still higher than its 2015 average of 32.32 million b/d. On November 30, 2017, OPEC agreed to keep production cuts through 2018. It agreed to further cuts at its 2018 meeting. But even Saudi Arabia, OPEC's biggest contributor, has been willing to accept lower prices. In October 2014, it lowered its price to its largest customers. It did not want to lose market share to its arch-rival, Iran. These two countries' rivalry stems from the conflict between the Sunni and Shiite branches of Islam. Iran promised to double its oil exports to 2.4 million b/d once sanctions were lifted. The 2015 nuclear peace treaty lifted 2010 economic sanctions and allowed Saudi Arabia's biggest rival to export oil again in 2016. Saudi Arabia also did not want to lose market share to U.S. shale oil producers. It bet that lower prices would force many U.S. shale producers out of business and reduce its competition. It was right. At first, shale producers found ways to keep the oil pumping. Thanks to increased U.S. supply, demand for OPEC oil fell from 30 million b/d in 2014 to 29 million b/d in 2015. But the strong dollar meant OPEC countries could remain profitable at lower oil prices. Rather than lose market share, OPEC kept its production target at 30 million b/d. The lower prices caused 2016 U.S. oil production to fall to 8.9 million b/d. Less efficient shale producers either cut back or were bought out. That reduced supply by around 10%, creating a boom and bust in U.S. shale oil. Third, foreign exchange traders drove up the value of the dollar by 25% in 2014 and 2015. All oil transactions are paid in U.S. dollars. The strong dollar helped cause some of the 70% decline in the price of petroleum for exporting countries. Most oil-exporting countries peg their currencies to the dollar. As a result, a 25% rise in the dollar offsets a 25% drop in oil prices. Global uncertainty keeps the U.S. dollar strong. Between 2016 and April 2018, the dollar's value fell, according to the DXY interactive chart. On December 11, 2016, the USDX was 102.95. In early 2017, hedge funds began shorting the dollar as Europe's economy improved. As the euro rose, the dollar fell. By April 11, 2018, it had fallen to 89.57. A weaker dollar reduces OPEC's oil revenue. That may be reversing. The dollar ended the year at 96.17. Fourth, global demand grew more slowly than anticipated. It's only increased by 1.6% in 2017 and 1.3% in 2018, according to the International Energy Administration. Most of the increase was from China, which now consumes 13% of global oil production. China's economic reforms were slowing its growth. In 2018, President Donald Trump began a trade war that has further slowed China's growth. As a result, global demand for oil has been weak. The volatility in oil prices makes it difficult to precisely forecast them. But the EIA has bravely done so. It forecasts that, by 2025, the average price of a barrel of Brent crude oil will rise to $81.73/b. This figure is in 2018 dollars, which removes the effect of inflation. By 2030, world demand will drive oil prices to $92.98/b. By 2040, prices will be $105.16/b, again quoted in 2018 dollars. By then, the cheap sources of oil will have been exhausted, making it more expensive to extract oil. By 2050, oil prices will be $107.94/b, according to Table 1 of the EIA's Annual Energy Outlook. The EIA has lowered its price estimates from 2017, reflecting the stability of the shale oil market. By the end of 2019, the United States will become a net energy exporter, exporting 1.1 million barrels more than it imports. It had been a net energy importer since 1953. Oil production will rise until 2027 when it levels off at around 30 million b/d. The EIA assumes that demand for petroleum flattens out as utilities rely more on natural gas and renewable energy. It also assumes the economy grows around 2% annually on average, while energy consumption increases 0.4% a year. The EIA also has predictions for other possible scenarios. Oil prices reached a record high of $145/b in 2008 and climbed to $100/b in 2014. That's when the Organization for Economic Cooperation and Development forecast that the price of Brent oil could go as high as $270/b by 2020. It based its prediction on skyrocketing demand from China and other emerging markets. Prices this high seem unlikely now that shale oil has become available. It's also unlikely as the world shifts to renewable energy as a way to combat global warming. Oil and gasoline contribute to greenhouse gases that lead to climate change. The idea of oil at $200/b seems catastrophic to the American way of life. But people in the European Union were paying the equivalent of about $250/b for years due to high taxes. That didn't stop the EU from being one of the world's largest oil consumers. As long as people have time to adjust, they will find ways to live with higher oil prices. The year 2020 is less than a year away, but look at how volatile prices have been in the last 10 years, ranging between $26.55/b and $145/b. If enough shale oil producers go out of business, and OPEC teams up with Russia to form a global cartel, prices could return to their historic levels of $70-$100 a barrel. OPEC is counting on it. The OECD admits that high oil prices slow economic growth and lower demand. High oil prices can result in "demand destruction." If high prices last long enough, people change their buying habits. Demand destruction occurred after the 1979 oil shock. Oil prices steadily deteriorated for about six years. They finally collapsed when demand declined, and supply caught up. Oil speculators could spike the price higher if they panic about future supply shortages. That's what happened to gas prices in 2008. Traders were afraid that China's demand for oil would overtake supply. Investors drove oil prices to a record $145/b. These fears were unfounded, as the world soon plunged into recession and demand for oil dropped. Keep in mind that any perceived shortage can cause traders to panic and prices to spike. Perceived shortages could be caused by hurricanes, the threat of war in oil-exporting areas, or refinery shutdowns. But prices tend to moderate in the long term. Supply is just one of the three factors affecting oil prices.